My Poppet : your weekly dose of crafty inspiration: Guest Post: Fathers Day Gift Ideas & Giveaway! Guest Post: Fathers Day Gift Ideas & Giveaway! Hi There! My name is Danie. I have an online store called BLANK and I'm thrilled the very clever Cinti has asked me to share some Fathers Day gift ideas with you on My Poppet today! Oh! And there's an awesome Giveaway too! 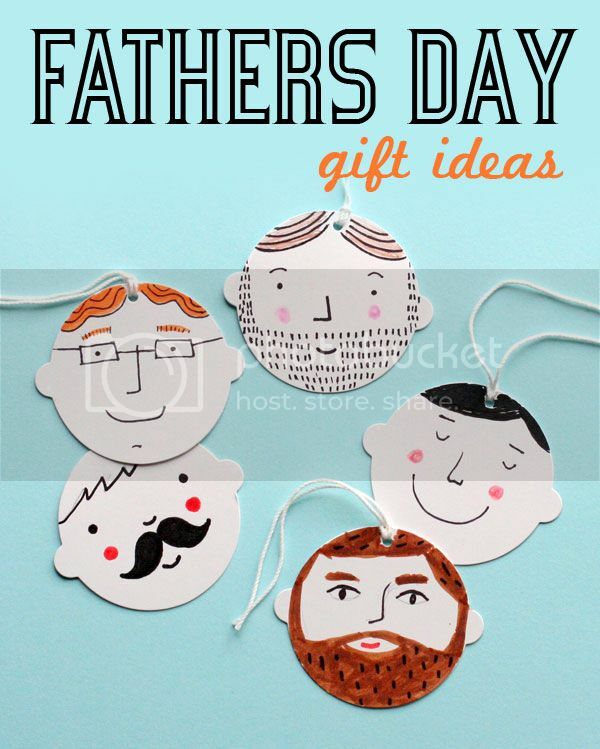 ✎ Draw your Dad on gift tags to add that personal touch to Dad's present. You can get these face shaped gift tags from BLANK or even cut out your own. - Dad will love a notepad for his desk that is designed by you! It's a fun project for little and big kids too! I especially love stamping the sides of these cubes - and I'm sure many of My Poppet readers would have a little collection of rubber stamps to use! Just remember to pop a rubber band around the edge of the cube when decorating it. This will keep the pages nice and tight together, making sure the surface is solid for your stamps and your marker pens don't get caught between the pages! - Fill up some gift boxes with Dad's favourite treats (nuts, sweets and cookies - perfect trifecta!). We chose the turquoise, yellow and warm grey coloured boxes and simply cut out the letters D A D from white paper and glued them on the boxes. BLANK coloured gift boxes have a lovely matte finish and look fab when decorated with my two favourites - coloured gel ink pens and washi tape! - Washi Tape Love - show off your supply with layers of washi tape and have lots of fun wrapping Fathers Day gifts. Add the final touches of bakers twine and a coloured gift tag! Perfection! - Best Dad Ever, #1 Dad, You're the best, Super Dad, World's best Dad… the awards go on and on with our award ribbon stickers! 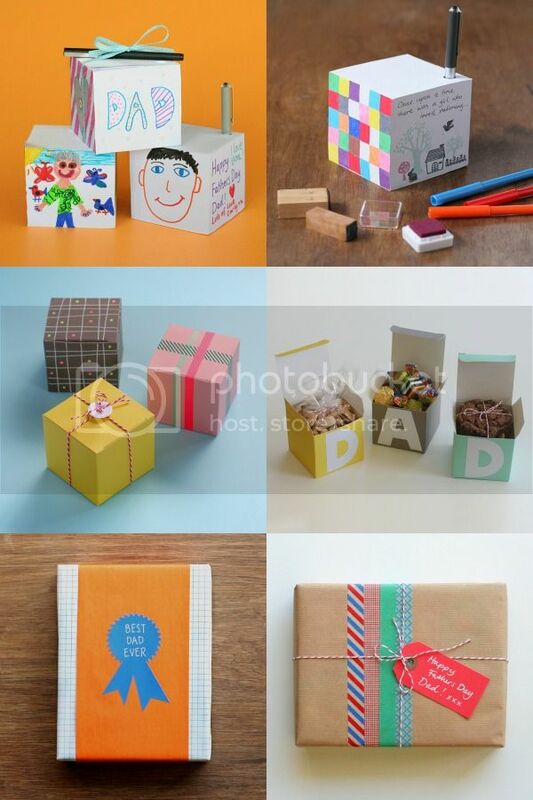 We hope we've inspired you to make and package a unique gift for Dad. He will be delighted! Danie has been super generous and offered an enormous prize pack of BLANK goodies worth $50!